Illinois Review is reporting that GOP Congressional Candidate Darlene Senger has launched a new microsite called ObamacareFailed.com. On the site, she's chronicling stories from voters in her Districta and across Illinois who have had trouble with the new health care law. Have an Obamacare story and how it has effected you and your family? 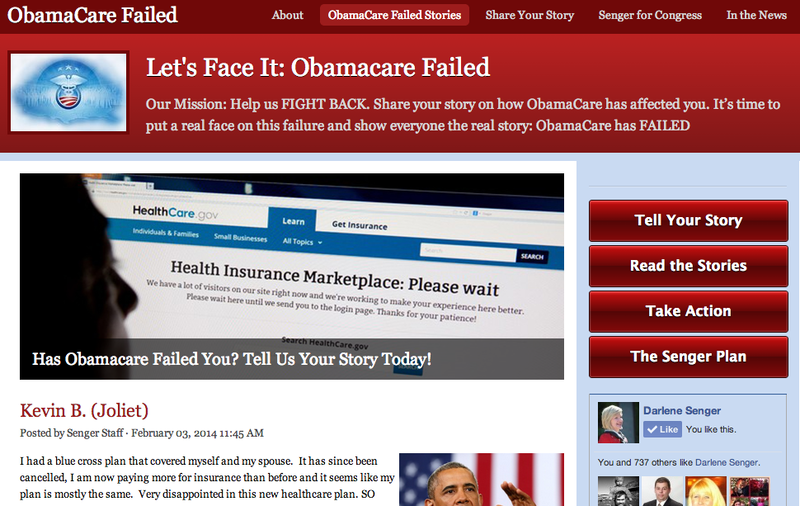 Tell your story here on ObamaCareFailed.com.